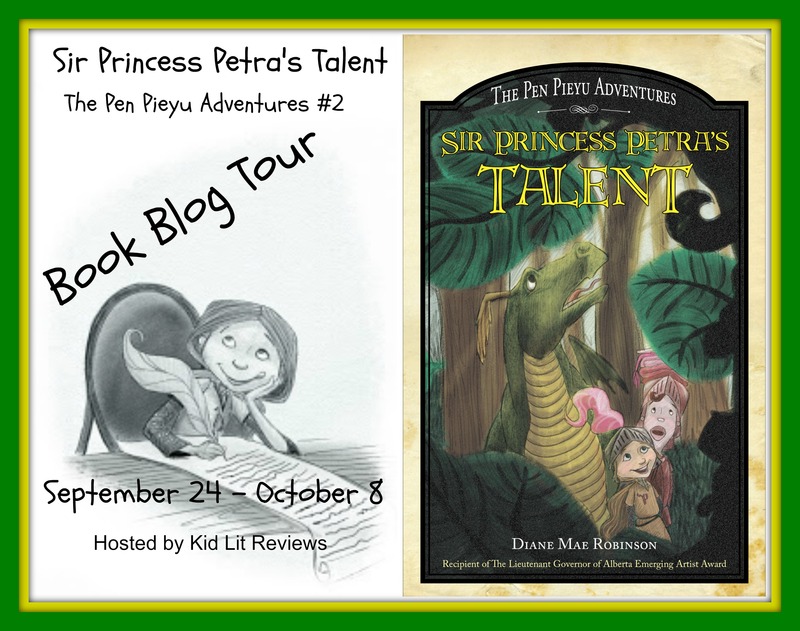 Today I get to be part of a blog tour for a book I have been looking forward to - the next book in The Pen Pieyu Adventures - Sir Princess Petra's Talent! 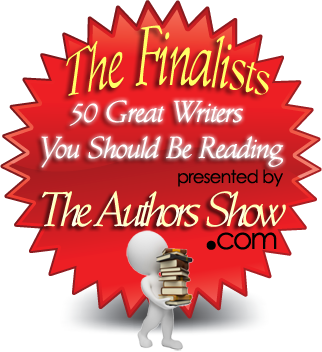 The blog tour was organized by the Marvelous Ms. Morris of Kid Lit Reviews (click HERE). 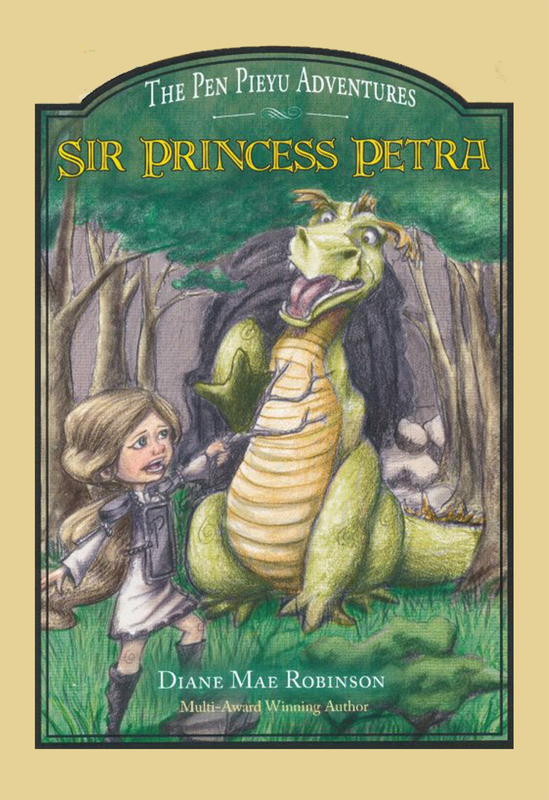 What's more exciting is that I get to give away a copy of the new Princss Petra book to one lucky reader! WOO! Read to the end to figure out how to enter! 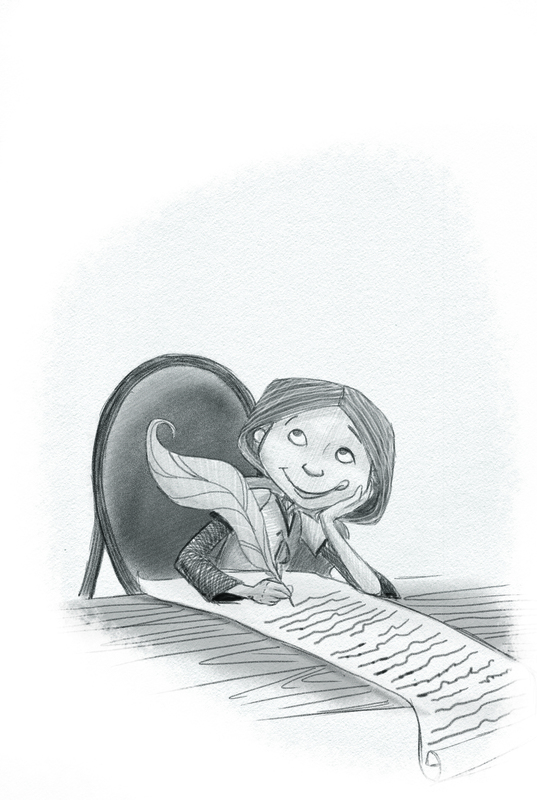 I reviewed the first Pen Pieyu Adventure in 2012 for International Read Aloud Day (click HERE to read that review). 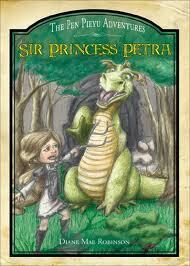 I loved the character of Princess Petra, the princess who didn't want to be "princessy" but wanted to be a knight. I really liked the writing style of Ms. Robinson too. I was very happy to hear Ms. Robinson wrote a second book in the series! 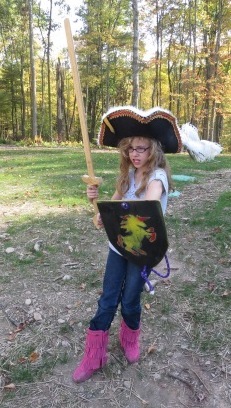 Petra Longstride, princess of Pen Pieyu, the kingdom's only princess knight (and the only actual knight), is angry. 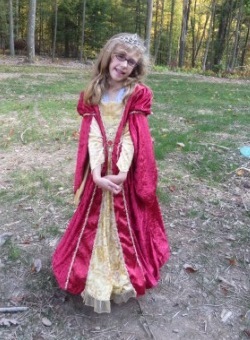 Her father, King Longstride, has made a new rule in the Royal Rulebook, one which states that all princesses in the Kingdom must go to a Talent School and get a certificate. Why can't Petra's parents just let her be a knightly princess, instead of a girly princess? Instead she has to go to talent school and figure out what talent she has. 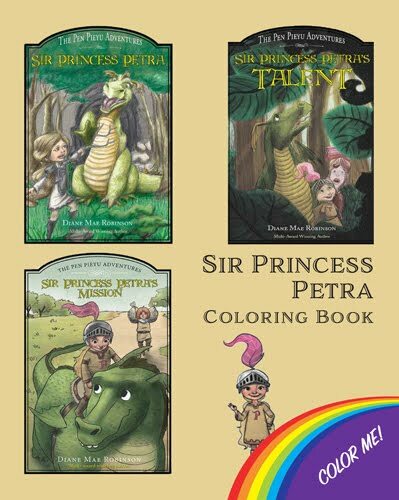 (NOTE: Thank you to Josie for being my Princess Petra model) The pencil sketch illustrations throughout the book are great and gives the reader an idea of what the characters look like. 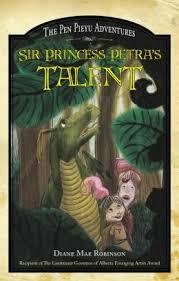 I also LOVED the talent Princess Petra finds out she has! 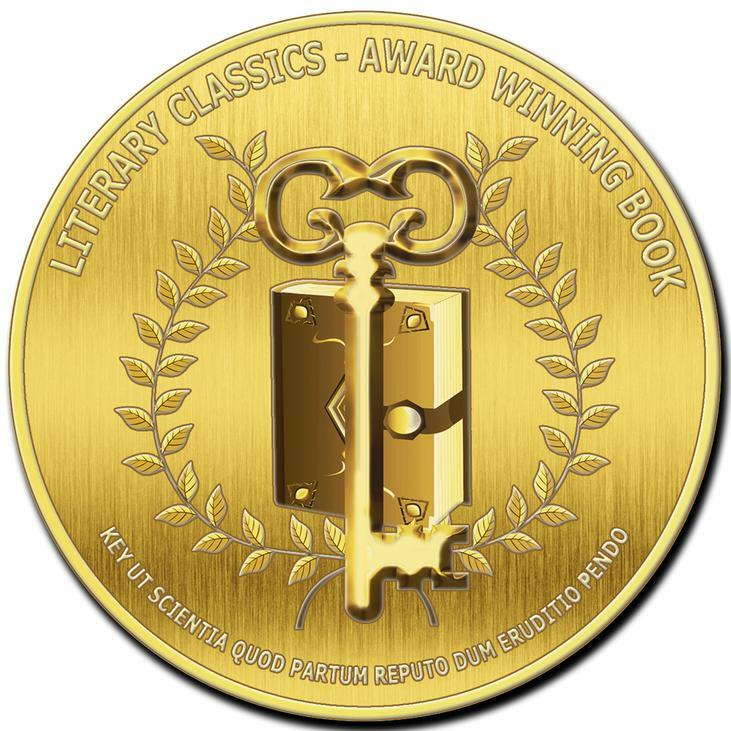 The reading level is good for young advanced readers if you are looking for a god book for one. 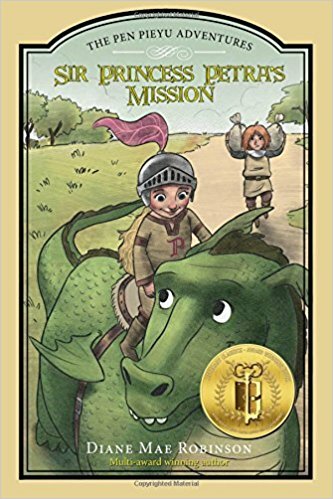 Ms. Robinson's writing style makes this adventure fun and gets you into the characters. 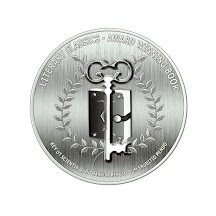 I am already looking forward to the next book! 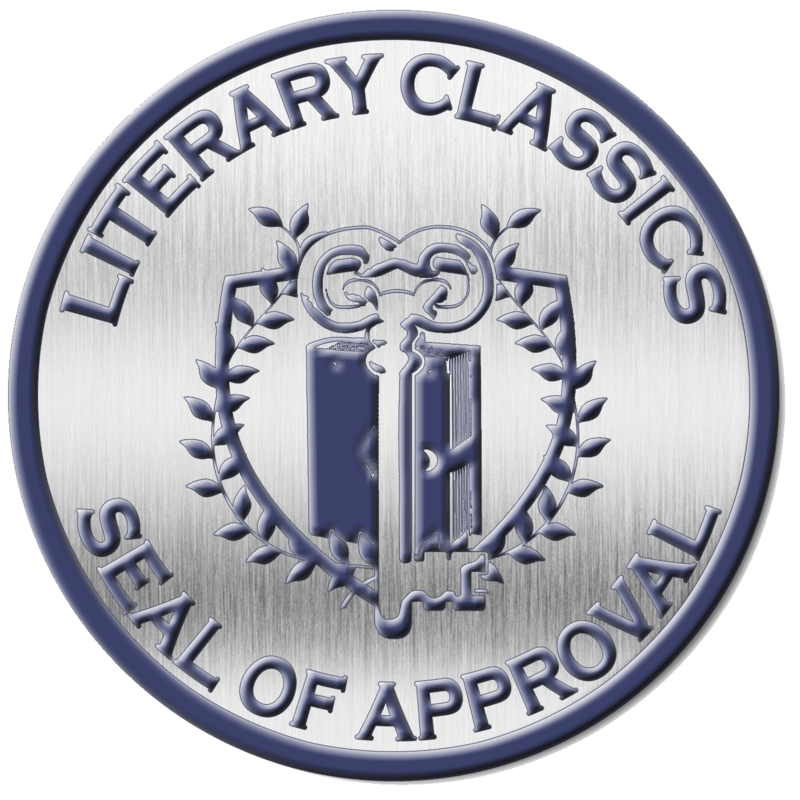 This is a book review blog, right? Yes it is! Thanks for dropping by! I am reviewing a great book today! 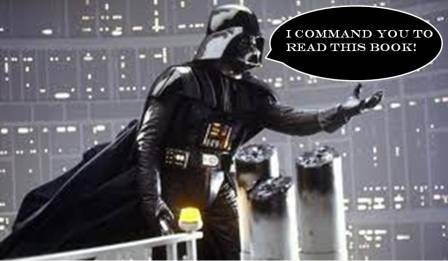 Sorry I forgot it is Star Wars Reads Day. I find your lack of memory disturbing, Young Reviewer. Sorry. I am about to give this great book I am reviewing on Star Wars Reads Day five out of five bookworms! I read this book. I like the feisty princess in the book. It reminds me of my daughter. Make it seven. But my scale only goes to five. I said make it SEVEN! Uhhhh... I can't Darth - QUICK - I give Princess Petra's Talent FIVE out of FIVE bookworms! Sorry Darth, I have to stick to my rules. Hey - why are you raising your hand like that? *GAK* Stop force-choking me! 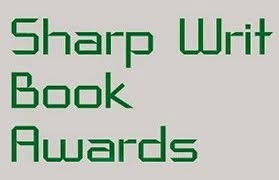 *GAK* I have to tell the readers about *GAK* the *GAK* GIVEAWAY! You have a point Young Reviewer. I shall allow this. 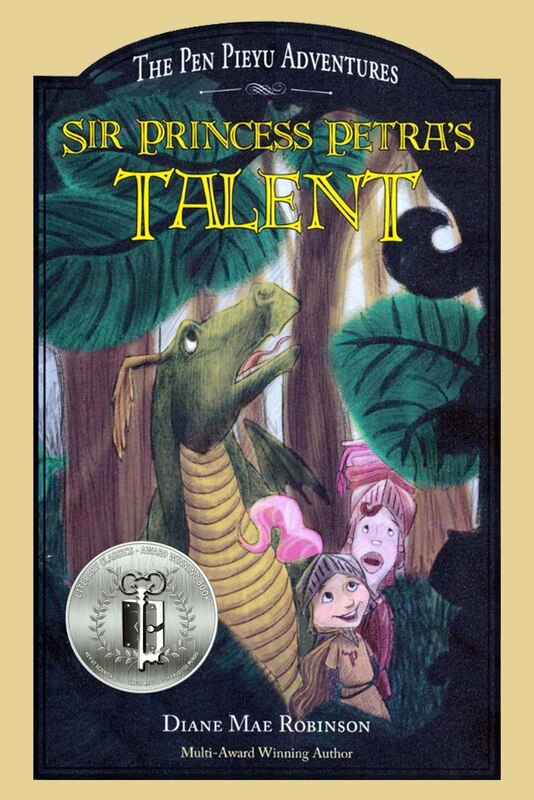 I get to give away a copy of Sir Princess Petra's Talent to one lucky commenter! Just leave a comment in the section below and I will announce a winner (drawn randomly out of a hat by Josie) next Friday, October 11th! I would like to add one thing Young Reviewer. It's pretty cool how you make your cape flutter like that. Can you teach me how to do it? For a list of all the stops on the blog tour click HERE! 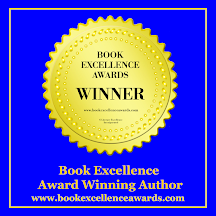 You can find out more about Ms. Robinson and her books at her website (click HERE), blog (click HERE), Facebook (click HERE), Twitter - @DianeMaeRobinso, Linkedin (click HERE), Goodreads (click HERE). 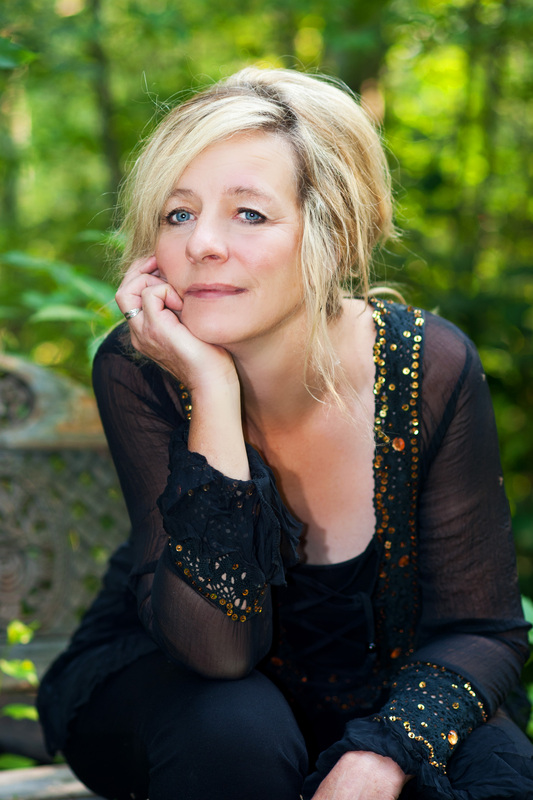 You can visit the Tate Publishing website HERE. 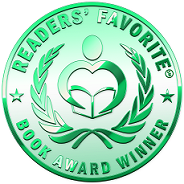 Visit Ms. Robinson's Amazon page (HERE) and B&N page (HERE). 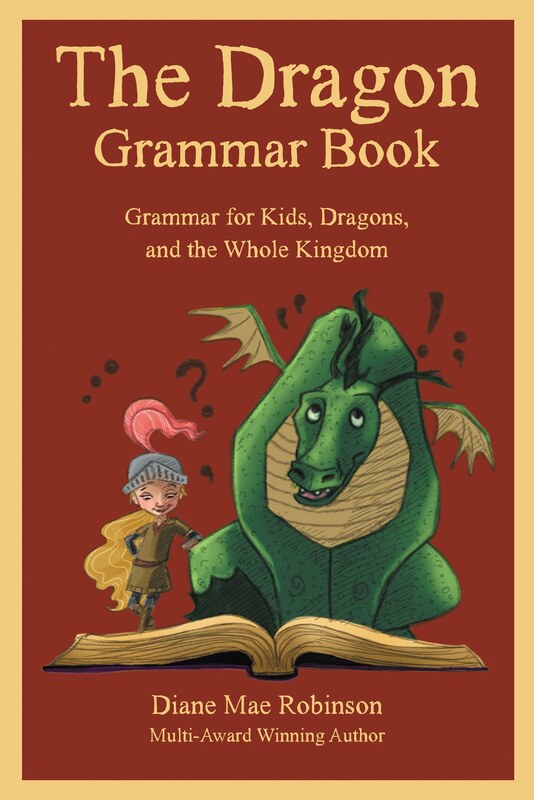 Wonderful review and post by Erick at: thiskidreviewsbooks.com THANKS, ERIK! Erik did a unique review for book 1, also. I'd keep him at the top of your list. Maybe even send him some Mars Bars. Now he is trying to collect money for a friend who is having brain surgery. He's looking to the kid lit community to pledge on the points he gets in October for his reading. Not sure how it works out, but it will be around 200 I bet. Erik is definitely a keeper. Yes, Erik is an awesome kid! I will email Erik and find out how I can donate. Thanks for letting me know, Sue. UPDATE: Just in! Erik kicked book for his friend Renn. (now back to regular programing, except in the west coast, but we never really know why).